Would you like to become an affiliate and spread the word about our beautiful products? Please feel the form below, read and accept the terms and conditions of the Affiliate Programme, and we’ll come back to you with all the information. If you are already an affiliate, please Login. 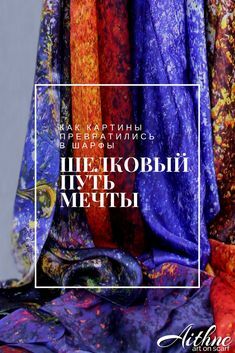 These terms and conditions govern the Affiliate Programme launched by A&L Art Limited trading under the name of Aithne - Art on Scarf ("Principal") with the aim of raising brand awareness and promoting its products. 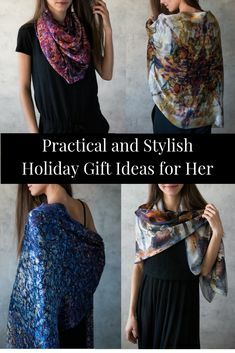 By signing up to be an Affiliate ("Affiliate") in the Aithne - Art on Scarf Affiliate Program ("Program") you are agreeing to be bound by the following terms and conditions ("Agreement"). “Link” (and all derivatives) shall mean a hyperlink, in whatever form including banners or other graphics, which can be clicked on by an End User to direct that End User to the Principal’s Website http://aithne.co.uk (“the Website”). No term of this agreement or course of dealings between the Parties will operate to make the Affiliate an employee or agent of the Principal.The Affiliate and the Principal are independent contractors, and nothing in this Agreement will create any partnership, joint venture, agency, franchise, sales representative, or employment relationship between the parties. The Affiliate will have no authority to make or accept any offers or representations on the Principal's behalf. The Affiliate will not make any statement, whether on his/her site or otherwise, that reasonably would contradict anything in this Section. The Affiliate must be 18 years or older to be part of this Program. The Affiliate must be a human. Accounts registered by "bots" or other automated methods are not permitted. The Affiliate must provide his/her legal full name, a valid email address, and any other information requested in order to complete the signup process. The login may only be used by one person - a single login shared by multiple people is not permitted. The Affiliate is responsible for maintaining the security of his/her account and password. The Principal cannot and will not be liable for any loss or damage from the Affiliate's failure to comply with this security obligation. The Affiliate is responsible for all Content posted and activity that occurs under his/her account. The Affiliate may not use the Affiliate Program for any illegal or unauthorized purpose.The Affiliate must not, in the use of the Service, violate any laws in his/her jurisdiction (including but not limited to copyright laws). 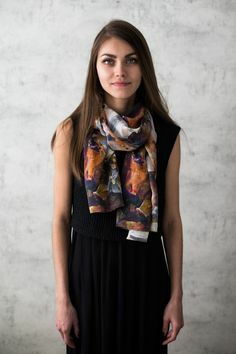 The Affiliate may not use the Affiliate Program to earn money on his/her own Aithne - Art on Scarf product accounts. The Principal will provide the Affiliate with the code necessary to create a Link, guidelines, link styles, and graphical artwork to use in linking to the Website, and to track visitors who arrive at the Website via the Link. The Principal grants the Affiliate an unlimited license to use the Link during the term of this Agreement and in accordance with its provisions. The Principal may change the design of the artwork at any time without notice, but won't change the dimensions of the images without proper notice. In any way which is misleading to the End User or doesn't disclose the nature of Agreement between the Principal and the Affiliate. To permit accurate tracking, reporting, and referral fee accrual, The Principal will provide the Affiliate with special link formats to be used in all links between the Affiliate's site and the Website. The Affiliate must ensure that each of the links properly utilizes such special link formats. Links to the Website placed on your site pursuant to this Agreement and which properly utilize such special link formats are referred to as "Special Links." 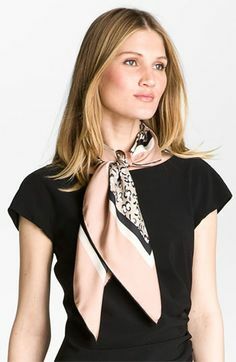 The Affiliate will earn referral fees only with respect to sales on a Aithne - Art on Scarf product occurring directly through the links utilizing such special link formats. The Principal will not be liable to the Affiliate with respect to any failure by the Affiliate or someone the Affiliate refers to use the correct link format or incorrectly type the personal Affiliate Code, including to the extent that such failure may result in any reduction of amounts that would otherwise be paid to the Affiliate pursuant to this Agreement. Affiliate links should point to the page of the product being promoted. “Sale Commission” means the commission which the Affiliate will receive for each End User who follows a Link and is directed to the Website, resulting in a sale of the Principal’s product. The Sale may take place on the End User’s first visit to the Website or on any subsequent visit provided that it is within 30 days. If a sale occurs more than 30 days after an End User last accessed the Website via the Link then no Sale Commission shall be payable to the Affiliate. No Sale Commission shall be payable in respect of a transaction until the Principal has first received payment from the End User and this payment has cleared. The End User has the right to return the purchased goods within 14 days of delivery of the product. The products must be returned in the original condition. No Sale Commission shall be payable in respect of a transaction if the return of the product is accepted by the Principal. The Affiliate will be entitled to 15% sale commission which will be paid 14 days (the return right period) after the delivery of the product to the End User. Delivery and dispatch timelines may differ from product to product. Please refer to Shop Policy for more details. The Principal will only pay commissions on links that are automatically tracked and reported by the systems. The Principal will not pay commissions if someone says they purchased or someone says they entered a referral code if it was not tracked by the Principal's system. The Principal can only pay commissions on business generated through properly formatted special links that were automatically tracked by the Principal's systems. The Principal the right to disqualify commissions earned through fraudulent, illegal, or overly aggressive, questionable sales or marketing methods. The End users who buy products through this Program will be deemed to be the Principal's customers. Accordingly, all of the rules, policies, and operating procedures concerning customer orders, customer service, and product sales will apply to those customers. The Principal may change the policies and operating procedures at any time. For example, the Principal will determine the prices to be charged for products sold under this Program in accordance with their own pricing policies. Product prices and availability may vary from time to time. Because price changes may affect Products that the Affiliate has listed on his/her site, the Affiliate should not display product prices on his/her site, email or other medium of communication. The Principal will use commercially reasonable efforts to present accurate information, but cannot guarantee the availability or price of any particular product. The Affiliate undertakes and covenants that at all times he will comply with the requirements of the Data Protection Act 1998 in respect of recording End User’s details or obtaining or making use of email addresses. The Affiliate and the Principal each undertake and covenant that at no time, whether during the term of this agreement or thereafter, shall he disclose or permit to be disclosed to a third person any Confidential Information which he receives from the other Party to this Agreement save as that Party may expressly authorise in writing or as he is compelled by any court or administrative body of competent jurisdiction. Where either the Affiliate or the Principal provides services to the other Party to this Agreement through a delegate such as an employee or subcontractor, he will ensure that the said delegate signs a comparable confidentiality undertaking. This agreement may be terminated by either Party by providing a written notice in form of a letter or an email receipt of which has to be acknowledged by the other Party. Upon termination of this Agreement, the Affiliate shall be entitled to payment of all commission accrued up until the point of termination. Further, notwithstanding any of the content of this section, termination of this Agreement shall not prejudice the right of the Affiliate to receive Sale Commission in respect of End Users who were referred to the Website prior to termination, but where a sale results after termination but within 30 days of referral. Upon the termination of this Agreement for any reason, the Affiliate will immediately cease use of, and remove from his/her site, all links to the Website, and all other materials provided by or on behalf of the Principal in connection with the Program.